is highlighted with a wood ceiling and stained trusses. There is a private step up den with floor-to-ceiling fireplace and curved trusses. wine cellar, theatre area, and your very own putt-putt course. 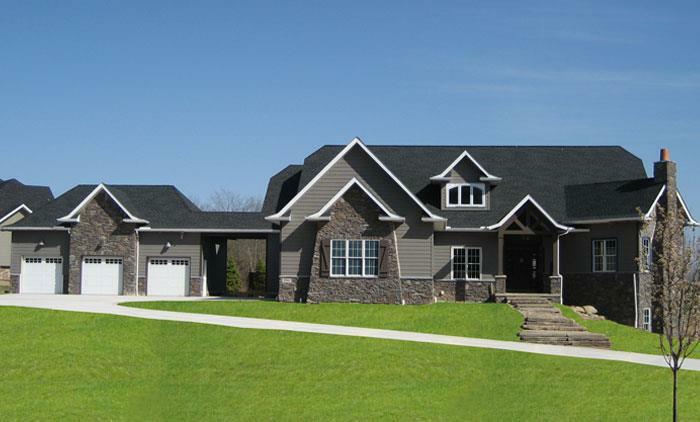 For the car enthusiast, there is a six-car garage option (3 attached and 3 detached with covered access).